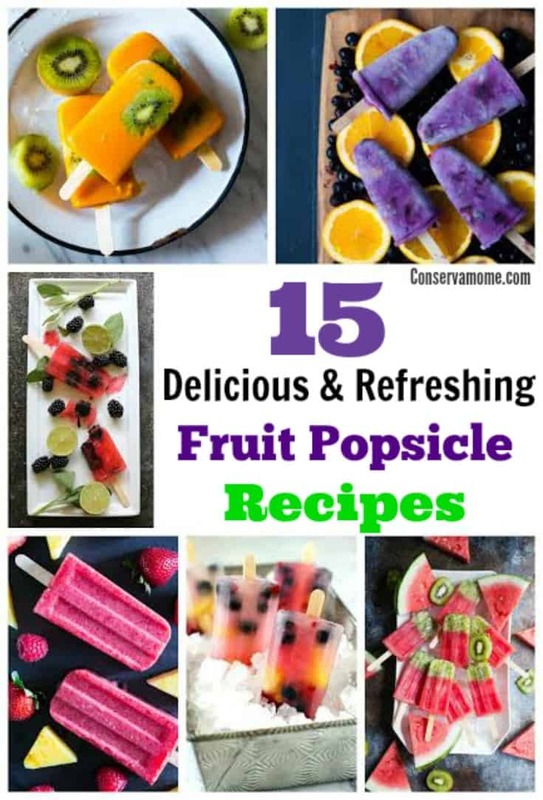 Cool Down with this round up of 15 Delicious & Refreshing Fruit Popsicle Recipes that will be the perfect addition to any hot summer day! Summer is almost here. The hot days filled with lots of adventure and fun. Cooling down may become hard, but it doesn’t have to be. What better way to do so than with a delicious Fruit Popsicle treats! It can be tempting to head to the store and grab some full of sugars and ingredients you can’t even pronounce. However, why not feed your family and yourself some refreshing treats that are full of delicious fruits? Here’s a fun round up of 15 Delicious & Refreshing Popsicle Recipes to help you make a cool splash this summer! This round up is sure to help you get your fruits in while still keeping cool. These gourmet treats will be the perfect addition to your summer fun! So check them out below and see how cool and refreshing the Dog Days of Summer can be. Ready to cool off with some other fun treats? Don’t forget to check out my fun Coffee Round up full of refreshing ways to enjoy everyone’s favorite Caffeinated beverage. Yum! Perfect snacks for summer! WOW,can’t wait to make!Thanks for sharing!